The Lourensford The Dome Chardonnay will beguile the palate with a bouquet of ripe pineapple, melon and orange blossom, supported by a hint of grapefruit and dried apricots. On the palate, notes of white peach, nuts and caramel are noticeable and lingering for a long time. The beautiful play of sweetness and acidity and the wonderful texture provide a pleasant mouth feel and culminate in a creamy finish. Lourensford The Dome Chardonnay owes its name to the highest peaks of the majestic Helderberg Mountains. After the harvest, the white wine has matured for eleven months in stainless steel tanks as well as in French oak. 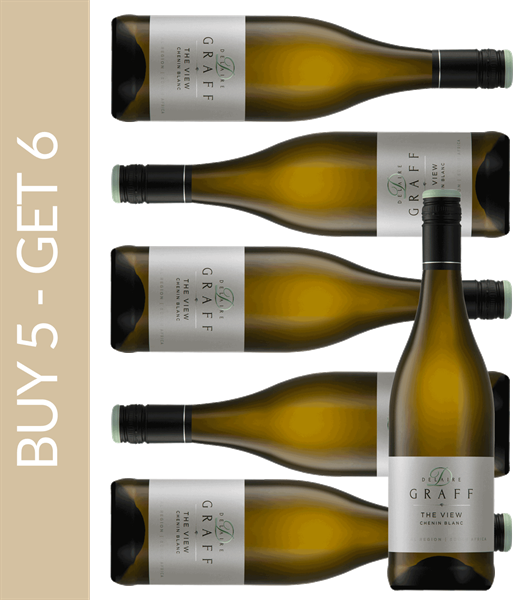 A powerful wine like Lourensford The Dome Chardonnay is an excellent companion to fish or seafood in a creamy saffron sauce. Salmon or a risotto with prawns are also excellent with the white wine. Matured for eleven months in stainless steel tanks as well as in French oak. In the area where today’s winery Lourensford is located, artefacts from the Early and Middle Stone Age had been found. The first humans had therefore lived here as early as 200.000 years ago. Some museums and exhibitions give testament to this long history. Wine cultivation on the other hand is in its early years in Lourensford. It was around 1700 when some immigrants from Europe planted vines into the nutrient soil. It used to be part of Vergelegen but when this estate was divided into four smaller farms in 1709, the place that wine lovers worldwide know as Lourensford came into being. A place that is closely associated with a constantly high quality with every new vintage. Without doubt, Lourensford is one of the most beautiful wineries in South Africa. The grand landscape surrounding the estate captivates and excites all visitors. And not just them. National as well as international films use the unique view for their productions, amongst them some big Hollywood films. The impressive interplay of Lourensford’s rich history, manifested in the beautiful architecture, with the state-of-the-art technology in the wine cellar is also movie material. This exciting environment makes for a cosy atmosphere amongst staff and visitors of the yard which invites to lean back - but also to enjoy fantastic high class wines that can be tasted in a relaxed and stylishly furnished Tasting Room. The wine from Lourensford belongs to the special aspects of the typical South African high class wine. Classic elegance just like the noble bottles from Europe joins a strong richness and a full-bodied complexity that define the wine from South Africa. Three different Ranges ensure that there is the right product for almost every taste and demand. Wine novices that are ready to dive into the fascinating world of premium wines, but also experienced connoisseurs will surely find a wonderful wine they like at Lourensford.